If you have multiple email accounts, you can check them all in Gmail. Gmail’s Mail Fetcher feature first imports all your old messages to Gmail and then continues to bring in new messages sent to your other account. You can add up to 5 accounts. 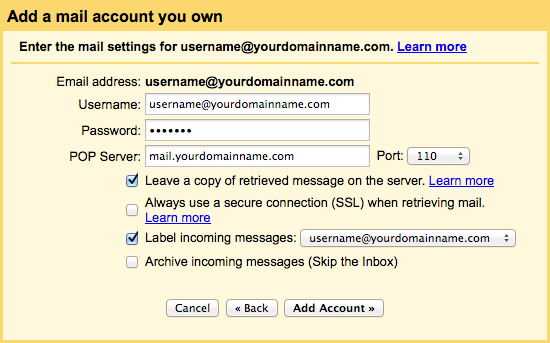 Enter your Username (full email address), Password and POP Server. Select No and click Finish.